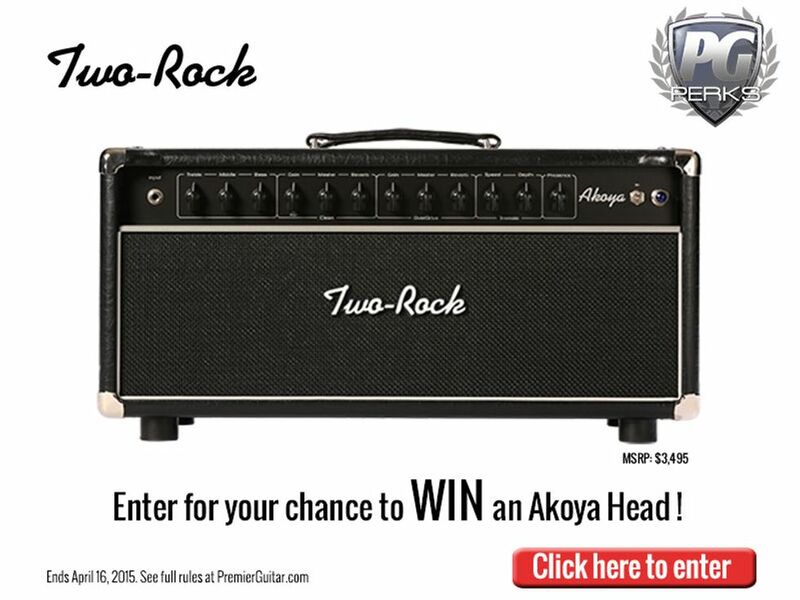 Enter for your chance to win the Two-Rock Akoya Head! Giveaway ends April 16, 2015. Entries will be accepted from anywhere in the world where permitted by law. One winner will be drawn. Click here to read the official rules. After consulting with numerous artists, Bill Krinard set out to develop an amp that would deliver Two-Rock performance and the feel of a vintage amp – all in one amp. What he and his team developed is a fully adjustable Two-Rock front-end with the feel and forgiveness of a classic blackface amplifier. This tone should be familiar to nearly every guitar player, yet has the refinements of a Two-Rock.